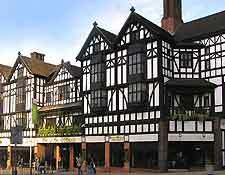 Home to more than 60 notable restaurants and eateries, together with numerous bars and public houses, Coventry has plenty of offer those in search of fine dining. All around the city of Coventry you will find restaurants, cafes, bistros and bars, serving up a diverse variety of dishes, with favourites including lively cosmopolitan restaurants, Italian dining venues and Asian eateries. 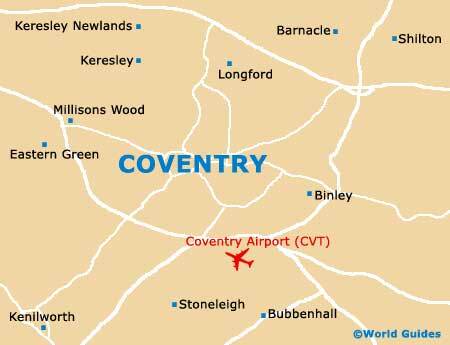 Coventry is also home to a host of Oriental-style restaurants and noodle bars, where Chinese, Cantonese and Thai cuisine have long been popular with both locals and visiting tourists alike. 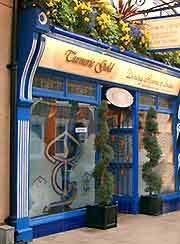 More traditional English fare is best sampled at local hotel restaurants and pubs, where lunchtime specials and hearty meals are often available. 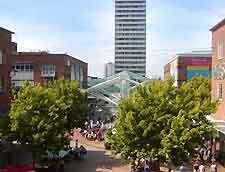 Further popular restaurant and cafe choices in Coventry can be found on Station Square, at Priory Place, in the City Arcade and at the SkyDome Arena complex. A notable place for traditional afternoon teas is the Benedicts Tea Room at Coventry Cathedral, where freshly made scones and clotted cream are a speciality. Those looking for sustenance during a big shop will find a large and fairly comprehensive food court at the West Orchards Shopping Centre, while the Lower Precinct Shopping Centre is also home to a number of cafes and snack bars. Further afield, a host of out-of-town pubs are restaurants are located just a short drive away from Coventry, in nearby Atherstone, Kenilworth, Leamington Spa, Nuneaton, Rugby and Warwick.